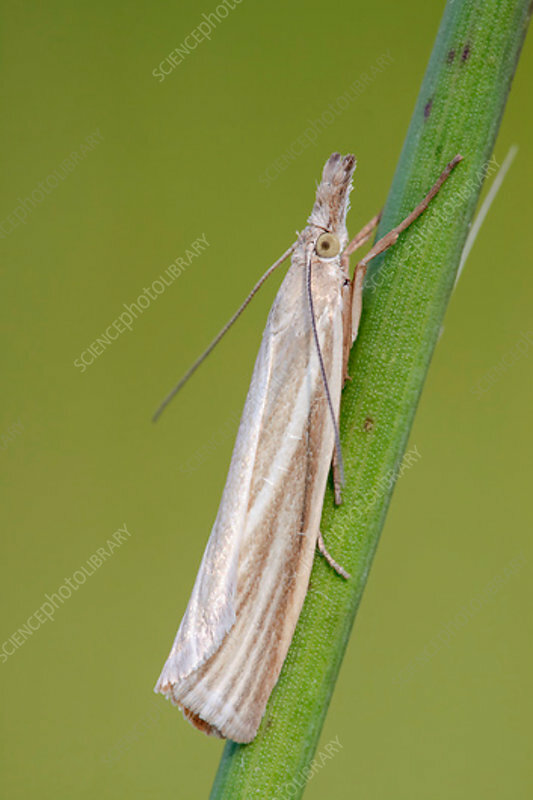 A close-up view of a grass veneer moth (Crambus perlella) resting on a grass stem in a damp meadow environment. The grass veneer moth is a member of the crambidae family and is on this wing between June and August. The larvae of this moth feed on grasses. Photographed in Somerset, UK, in June.